The situation: eBook purchase confirmation email; new book on Kindle. 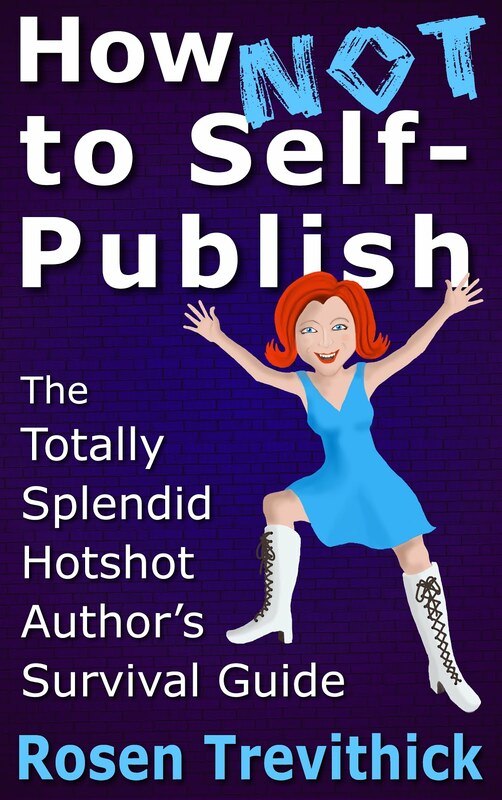 Many successful authors have released books letting us into the secrets of success. Some contain practical advice and some simply brag about the things they think they did to bring about their success. Are they useful? Yes. Should they be considered biblical? No. First of all, there is a luck component to any author success story. Somewhere along the line, somebody with a bit of influence happened to happen upon a book, then another key person was looking right instead of left, and so forth. You can give yourself the best possible chance, but there are some factors you cannot control. By nature there will be people at the top of any game, even roulette – which is based on pure luck. It’s very easy when you’re doing well to look at your success and pinpoint positive decisions, but that doesn’t mean that the thousands of people following virtually identical paths will enjoy the same outcome. People don’t always know why things happen, but if you ask them, they’ll almost always come up with some explanation. Secondly, what works for one author might not work for you. Jimbob Bobbleton might drop into the ocean with ‘Buy My Book’ written on his parachute, but if you’re scared of heights and can’t swim, that course of action won’t work for you. Some extremely lucky authors will tell you that all they did was put a book out there and it took off, but the tens of thousands of books that lie dormant are testament to the fact that publishing a book is only a very small part of the battle. Motivational books like to say things like ‘Anyone, no matter what their background, could write a novel in six months.’ Whilst super claims empower some, they leave many people feeling demoralised. Go ahead and spend your whole life writing one book, if that’s what it takes. Different people write in different ways. It isn’t a race. If you buy one of these guide books, look through and cherry pick the advice that suits you. If a suggestion is expensive and/or time consuming, think carefully before acting on it. The worst thing you can do is blindly follow the ‘secrets’ of somebody else’s success, making investments left, right and centre. Bestselling Barry Boggins may have woken himself up every morning with a coffee enema, but that’s probably not why his novel was featured on Richard and Judy.